Nubie it was created by two mothers, Amanda and Mischa, desperate to find fresh high-quality designs for their children. This is one-stop shop for all things modern for your little one. There aim is to enable families to create that cool and contemporary look from one source. 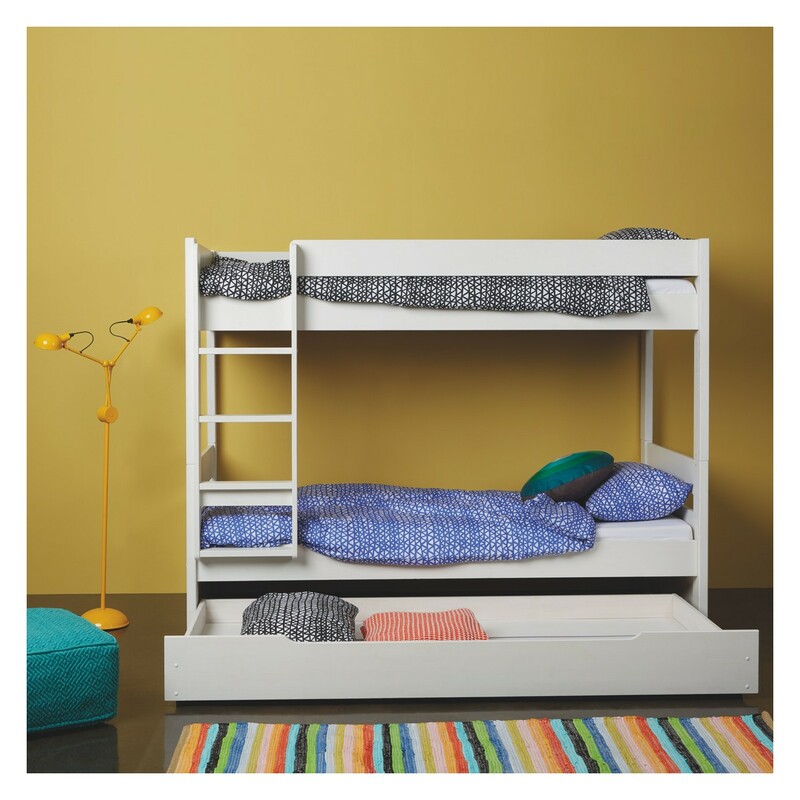 The low loft bed fits a child upto the age of 9 and has a well thought through design, a space under the bunk for the child to create a cosy hangout. When the child ultimately outgrows the bed a pair of attractive pillows along the backrest and a set of short legs available separately will convert it to a cosy daybed or small sofa – suitable for a corner of the living room, a wide hallway or as a stylish supplement to the interior of the summerhouse. This toddler bed is extremely well made, very heavy and beautifully lacquered to a very high quality. A perfect introduction to a big bed with its rounded edges. The dimension of this Junior bed are 167 x 97 x 69cm Tall. This super stylish toddler bed has a fun paint dipped effect how gives this bed a retro twist and introduces a splash of colour. Clean smooth lines with a raised edge at the foot and head for added style and safety. 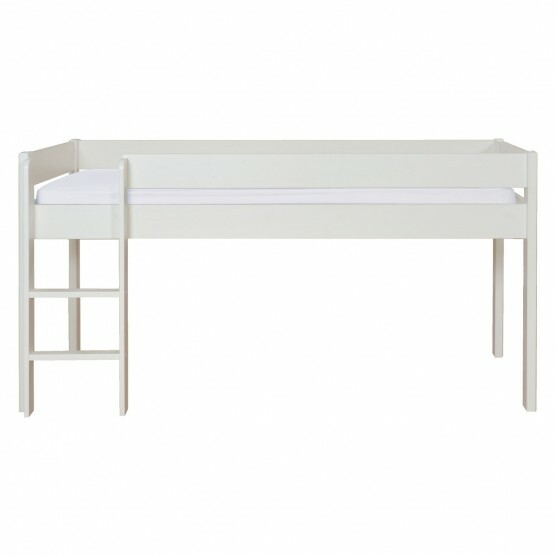 A classic and simple Junior Children’s bed in a Nordic design made by Oliver of Denmark. This bad drawing on this inspiration, it doesn’t fail to inspire summers by the sea and would look great in a nautical style children’s room for girls and boys. 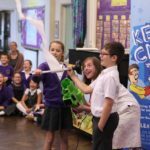 It can grow with your child when combined with an optional conversion kit – transforming it from a junior bed to a standard single bed, there is also an optional bed guard, drawer and trundle bed. Made in Denmark and finished in very high quality, sustainable timber with a White lacquered finish, all conforming to the high EU Standards. 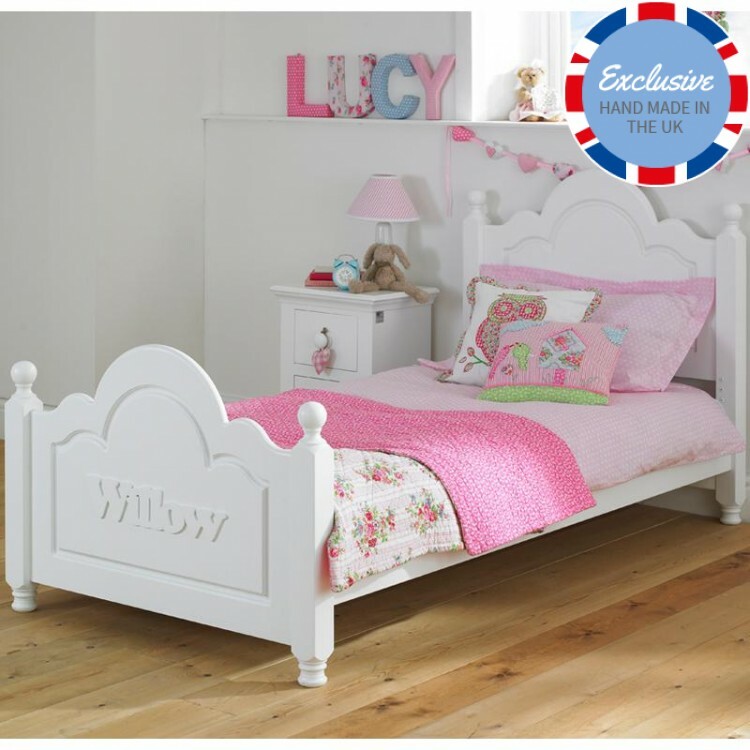 Little Lucy Willow provides a wide range of luxurious children’s beds. 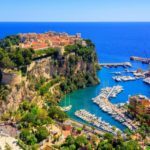 With each carefully crafted piece of furniture is handmade with a strong dressed, durable color in the subtle pastel color of your choice, this company has reached the second place from our list. Perfect for boys or girls simply choose from the colour options opposite. Option to personalise the footboard with your childs name as well as under bed storage options. 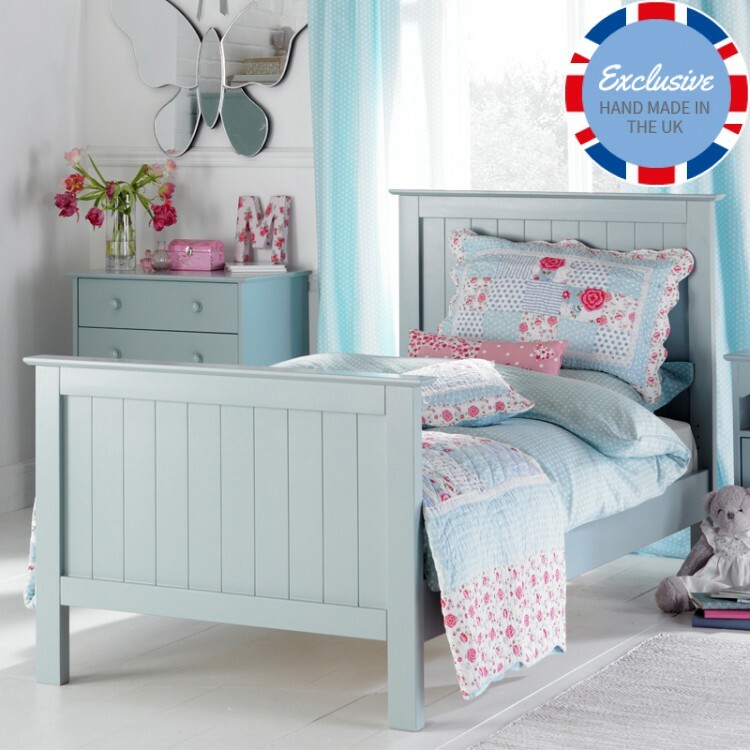 Made by our own factory here in the UK this is a quality children’s bed and features our superior durable painted finish as standard. 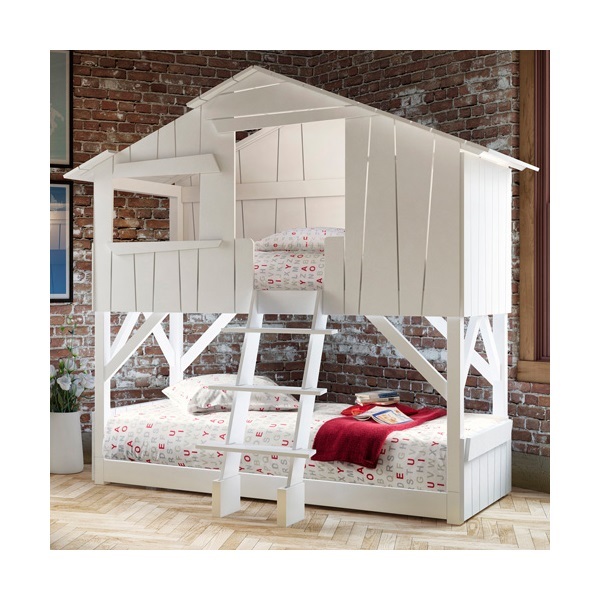 A charming childrens bed built and finished by master craftsmen in the UK. All our childrens furniture is guaranteed for a minimum of 5 years so you can be sure that they are built to last. 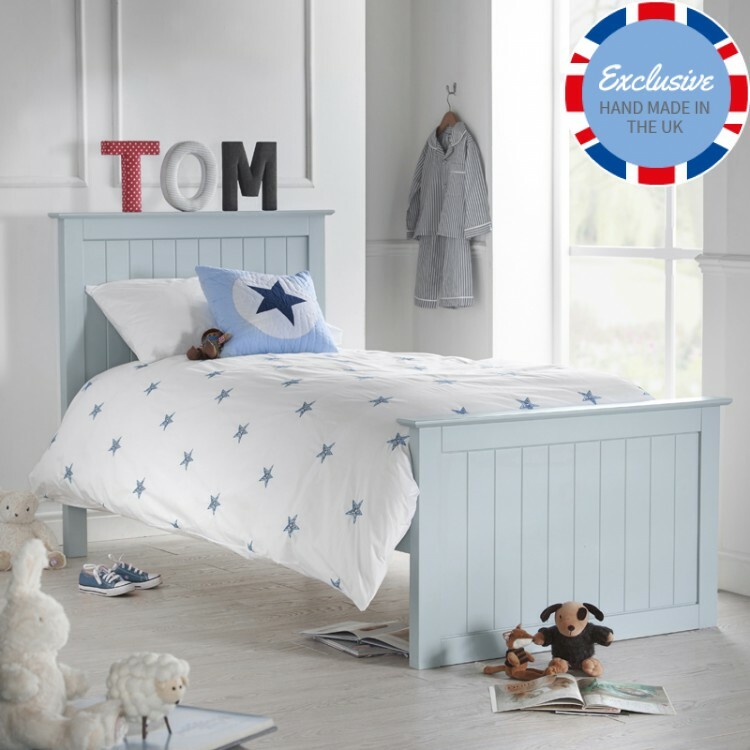 Our Willow bed is available in a choice of painted finishes as well as the option of personalising with your child’s name. If that wasn’t enough there is also a choice of under bed storage. Perfect for boys or girls simply choose from the colour options opposite. Option to personalise the footboard with your childs name as well as under bed storage options. Made by our own factory here in the UK this is a quality children’s bed and features our superior durable painted finish as standard. An abundance of matching furniture to choose from. Beautiful bed with large heart shapes cut out of the headboard and footboard. Available in a choice of colours (shown here in Ballerina Pink) as well as the option to personalise the bed with your childs name. Choose the size of bed you require as well as any under bed storage options you might need. 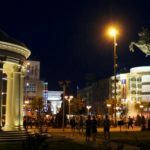 Cuckooland.com is a Luxury Lifestyle Emporium showcasing an Original Collection of Unique Furniture & Homeware. There tone of voice, imagery and products all create a world on the other side of the rainbow, a place of intrigue to return to, a unique upmarket shopping experience with a fun gooey centre. 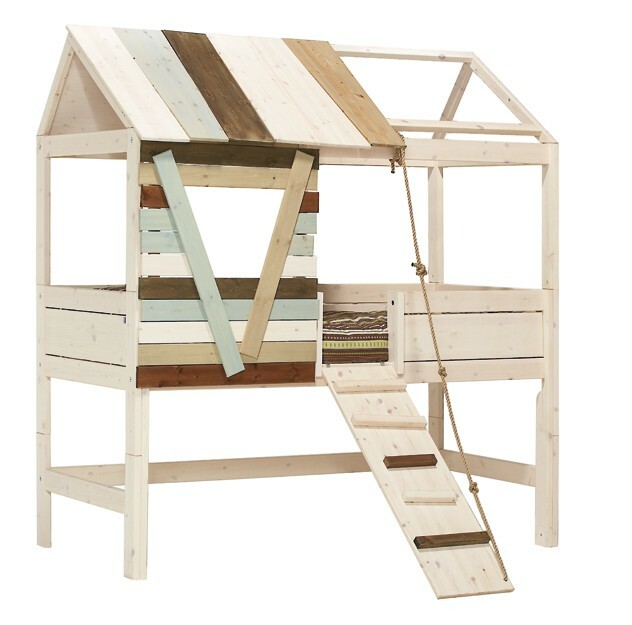 Luxury Kids Teepee Cabin Bed from Woood is the ultimate designer feature bed for any kid’s room. Constructed from solid pine and MDF, your little adventurers will love this tent bed, with its lookout holes at either end and hideaway teepee features. In a simple design and neutral colour, this mid sleeper will suit your youngster’s bedroom no matter the style and the space below the bed is perfect to use as extra storage space. 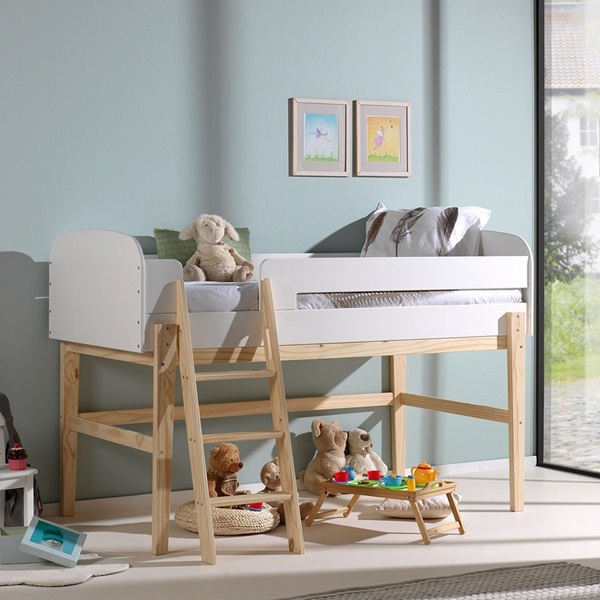 This bed is perfect smaller bedrooms, the Kiddy Mid Sleeper Bed offers up more space for storage or just for playing. This bed is with playful design that means it can be anything from a lifesize playhouse to an adventure fought. It’s simple yet effective design allows the bed to take shape of whatever your little ones imaginations, making bed times extra fun. Every child has dreamt, at least once in their life, of a house perched in the trees in which to sleep, play, invent, dream, hide away, find oneself, grow, study, read, party, lounge in pyjamas… in other words live! This is the stuff dreams are made of! Each bed is handmade to order in Belgium and is therefore unique and one of a kind. 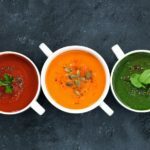 The bad is available in a choice of 26 colours. This Pongo bed is perfect for siblings and sleepovers. 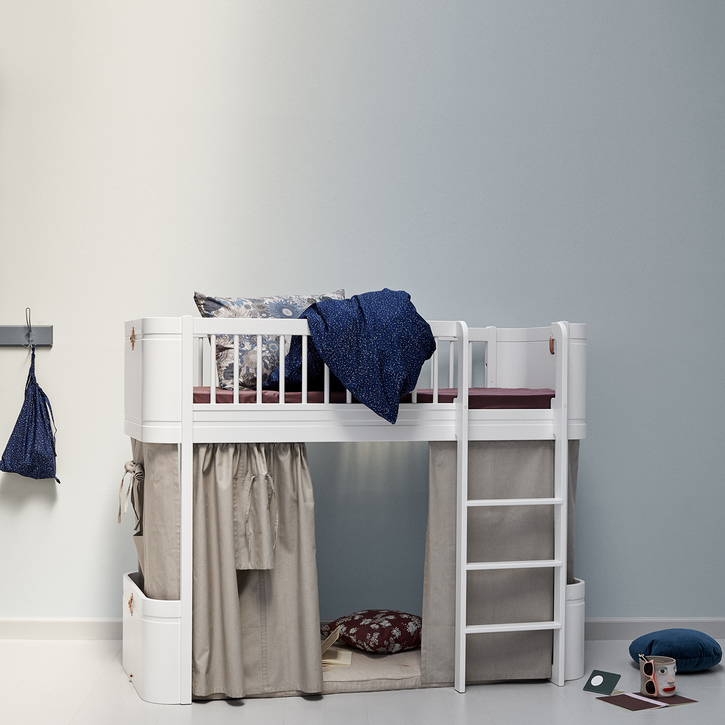 The bunk beds are detachable and easily transform into two single beds so they adjust as your children grow and develop. 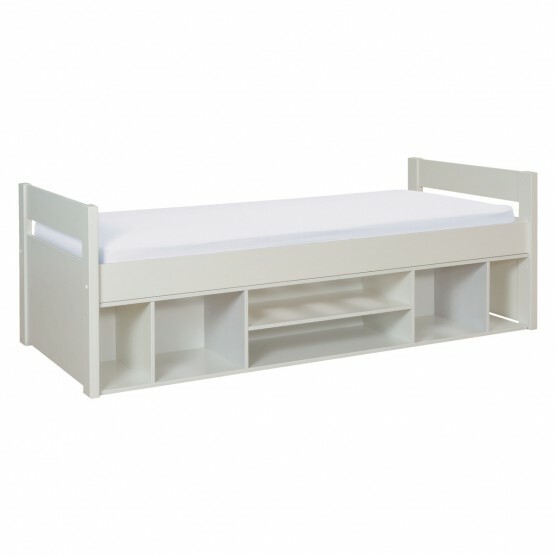 It also has underbed storage draw er features castor wheels which is perfect for hiding away toys and clutter. 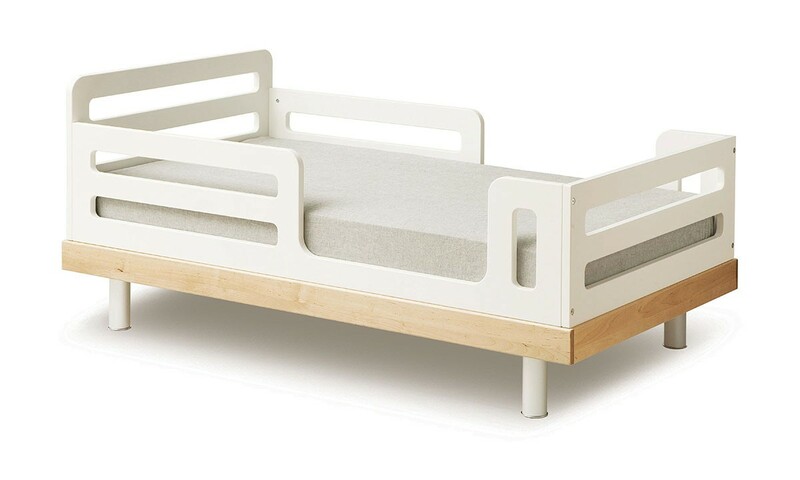 Finished in a clean white lacquer with smooth edges, the kids cabin bed is a practical design that provides extra storage space for your child’s room. This cabin bed is a clean-lined design with shelving and cubby holes built into its base for books, toys and games. 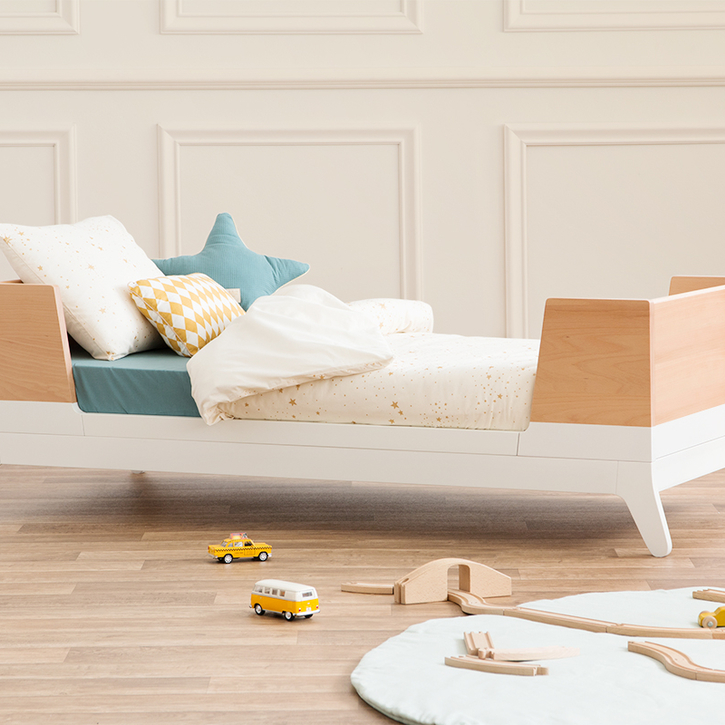 Mid-sleeper bed creates extra space for storage or a play area while keeping the bed close to the floor. This Pongo kid’s European size is finished in a clean white lacquer with smooth edges, the bed is a practical design, perfect for children. 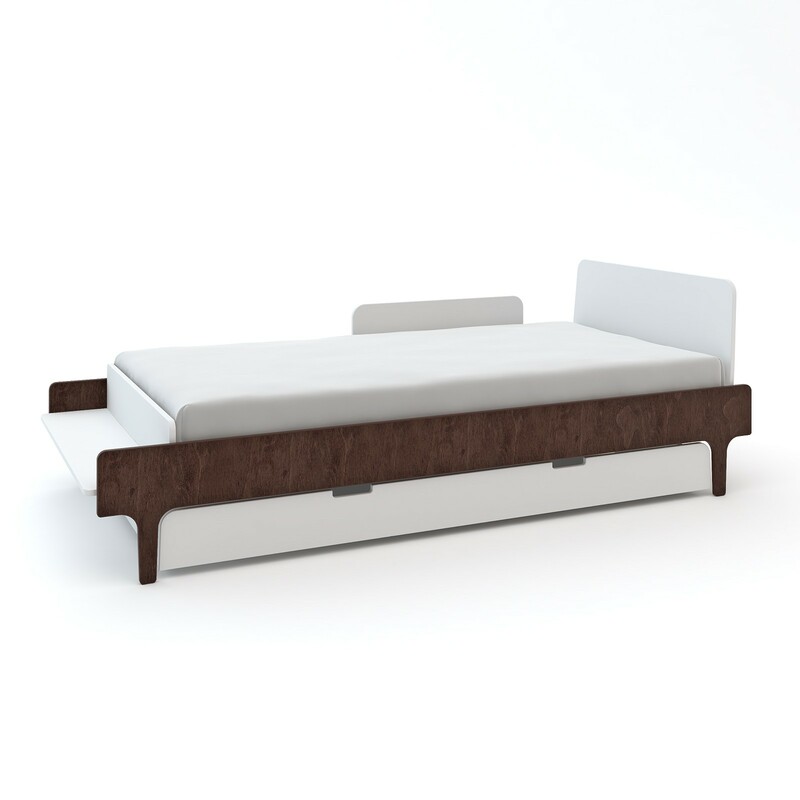 This bed is the Pongo kid’s European size trundle bed, is a clean-lined design which is perfect for sleepovers. The bed also has, pull out guest bed features castor wheels and includes a supportive, foam-based mattress, perfect for guests. Huggle is a growing, locally-owned, one stop nursery retail store. 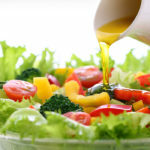 The company is focused on creating a one stop retail business for parents & grandparents, with competent, well-trained staff. The River Twin Bed’s clean lines make it a perfect fit with any kids’ style – and parents will love its space-saving design. A little bench at the foot of the bed provides a spot for kids to relax and read, or doubles as storage for books and toys. Is made of Solid Baltic birch plywood features safely rounded corners and non-toxic, water-based finishes free of VOC health hazards. 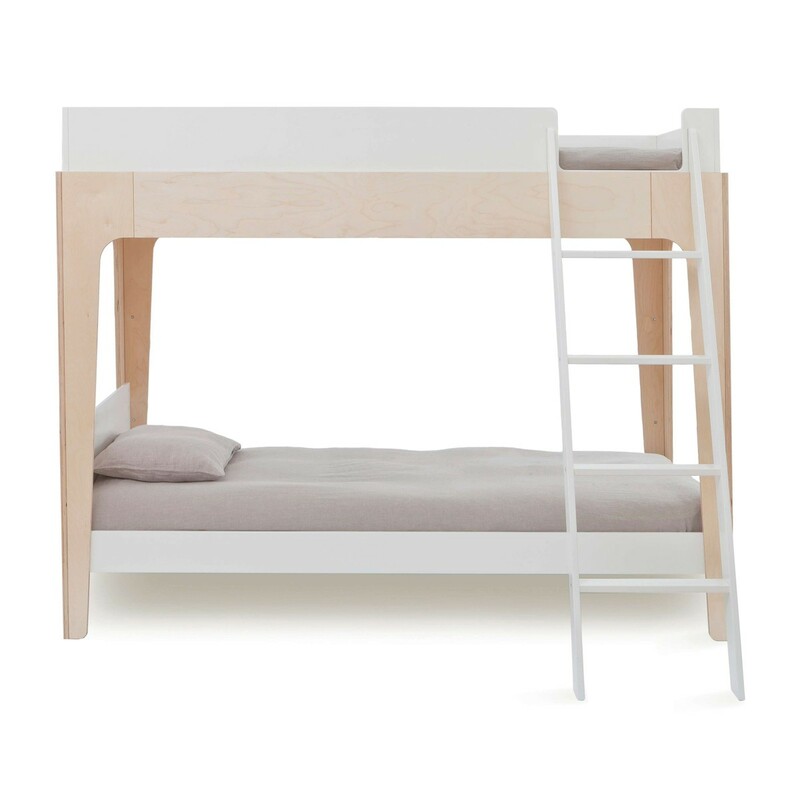 The Oeuf Perch Bunk Bed has safety and durability built in to every part of its sleek, airy design. Made from a sturdy frame with solid rails on the top bunk, it has an angled ladder with a safety tread for safer climbing. The ladder can be securely attached on either side of the bed, and an an optional guard rail for the lower bunk is available separately. Cosy in your own hut, It even looks like you made it yourself! This mid-high Tree House Bed also has super exciting space below the bed to play, or you can use the space for a friend to sleep over. The included safety guard, gives your child a good and safe sleep. Made from solid pine and suitable up to 150kg, this wonderfully designed bed won’t be outgrown for years. The simple, modern lines of this toddler bed create a clean, light look, with open rails that will keep your child feeling safe but won’t get in their way when climbing in or out. The bed is made in Latvia – which has a strong woodworking heritage – from local and sustainably sourced birch and finished with non-toxic, water-based paints.